Bars are randomly selected from a variety of brands and shapes based upon inventory available. 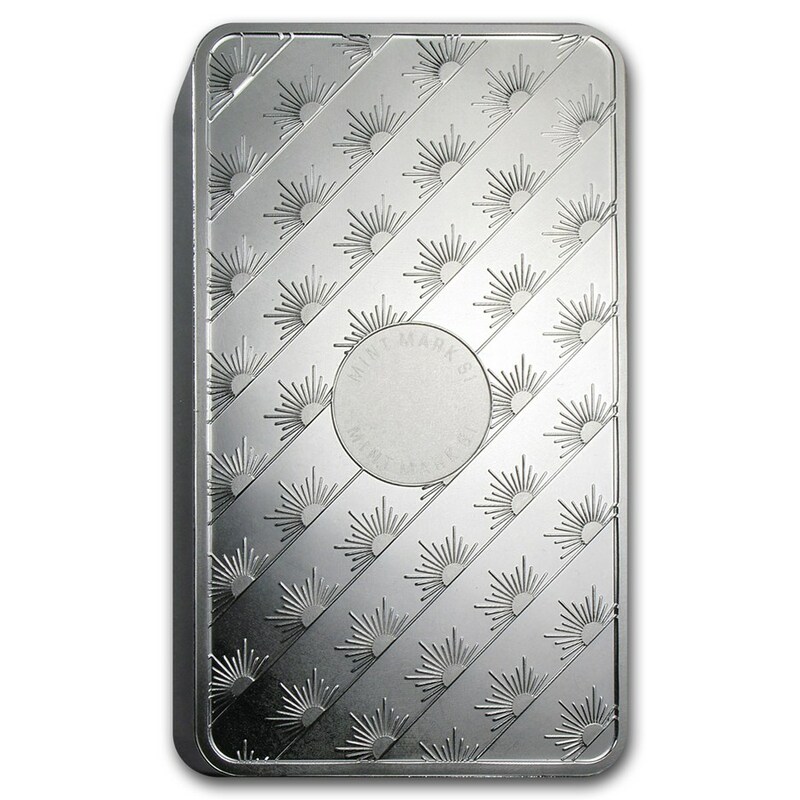 Diverse mix of Silver bars from numerous manufacturers such as Sunshine Minting, U.S. Assay and many others. With a variety of designs and manufacturers and a lower price point, these 100 oz secondary market Silver bars are a great way to add Silver to your investment portfolio. 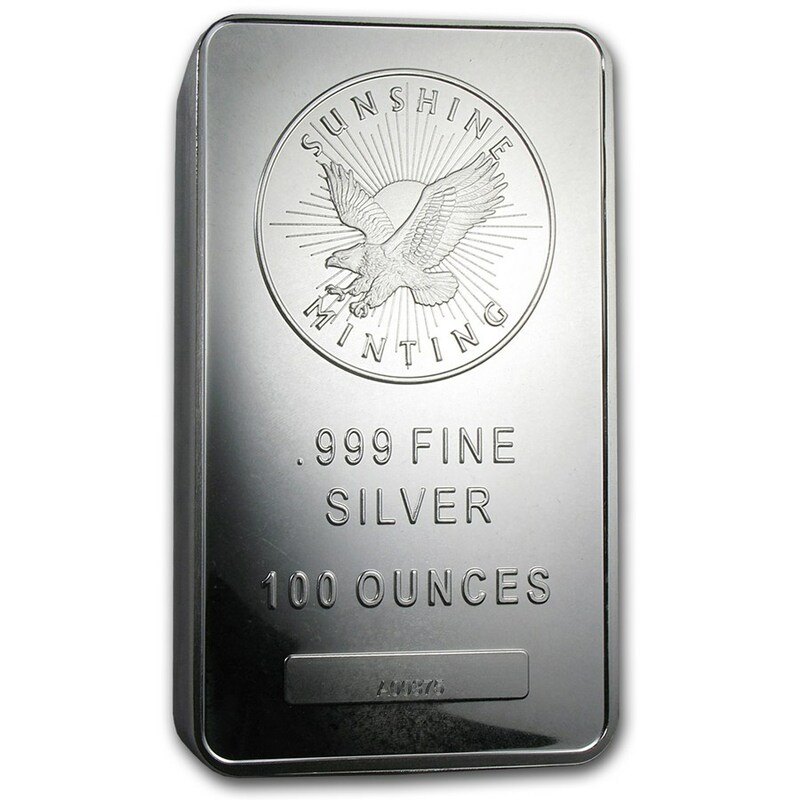 Add these 100 oz Silver bars to your cart today! We often ship various items within each shipment that may include themes such as holidays and other artistic designs. At times, Silver bars may tone due to the natural oxidation process that has no adverse effect on the value of the Silver. The bars we sell as secondary market bars may have nicks or scratches and are priced accordingly.